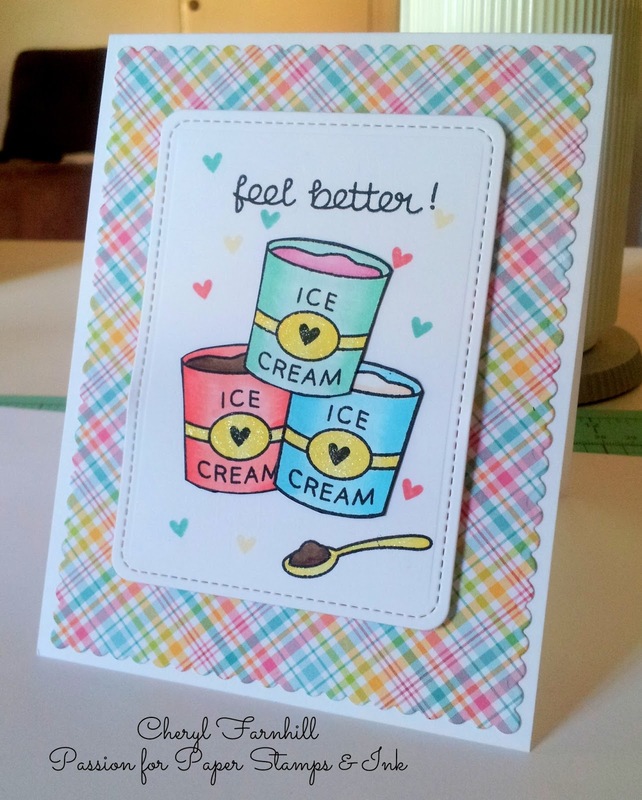 I am back today with a card for the current Lawnscaping Challenge #126 the girls have asked to use something Sweet! I never seem to have any get well cards when I need them so I used this theme for my card. 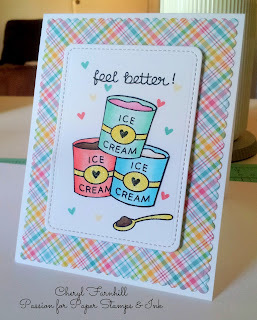 This really cute stamp set from LF Treat Yourself was a perfect choice for my card, I coloured the tubs of ice cream with copic markers in three different flavours chocolate, strawberry and vanilla and fussy cut out the tubs. I added some wink of stella clear to the bands on the tubs and the spoon, I cut out a white panel with the journaling die, I stamped the little hearts from the same stamp set with Lawn Fawn inks. Last but not least used some of the LF perfectly plaid paper for the background. Thank you for stopping by, and I hope you enjoyed my creation. I love that you matched the colors in the images to the paper; it really ties the parts of the card together! 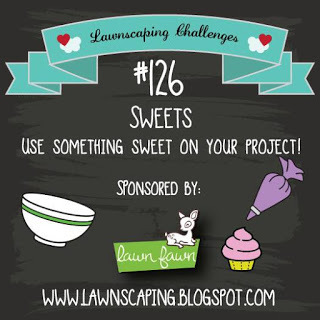 Thanks for joining our "sweet"-themed challenge at Lawnscaping Challenges!